With origins that can be traced back to those warriors who settled on English shores in the wake of the Norman invasion of 1066, the Hall name also became firmly established in Scotland. Infamous as a lawless Borders clan, other bearers of the Hall name became embroiled in the bitter and bloody seventeenth century wars between King and Covenant. 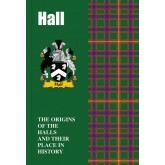 Read here the stirring saga of the Halls. .. 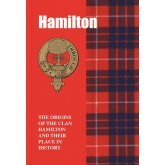 Here is recounted the stirring story of the Clan Hamilton from its beginnings in the mists of medieval Caledonian history down to the present time. The clan’s turbulent exploits spanned the bloodthirsty, feuding saga of Scotland’s history and the dramatic tales here retold recall dashing Highland charges, brutal battles, breathless chases and deadly duels. The Hamiltons date their powers back to the days when they helped Robert the Bruce throw off the English yoke and they have grown in st..
With roots that stretch back through the dim mists of time to the ancient kingdom of Dalriada on Scotland’s western seaboard, the blood of Celts flows through the veins of bearers of the Harper name. 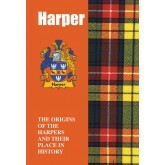 Closely allied to the proud Clan Buchanan, the Harpers were present at pivotal events in the nation’s history. Recounted here is the vibrant tale of the Harpers. .. 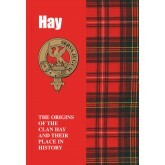 Here is recounted the stirring history of the Clan Hay from its beginnings in the mists of medieval Caledonian history down to the present time. The clan’s turbulent exploits spanned the bloodthirsty feuding saga of Scotland’s history and the dramatic tales here retold recall dashing Highland charges, brutal battles, breathless chases and deadly duels. 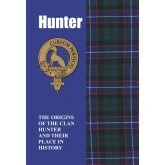 The Hays were at one time the Lord High Constables of Scotland, posts second only in rank to royalty. 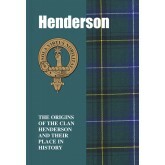 From their base in Perthshire they ..
With territories scattered throughout the diverse length and breadth of Scotland, the Hendersons figure significantly throughout the long centuries of the nation’s turbulent history. They are to be found at the heart of dark conspiracies and heinous murders, although it was a Henderson who bravely fought to save the life of the MacDonald chieftain during the bloody Massacre of Glencoe. It was also a Henderson minister of religion who helped to frame the rev.. 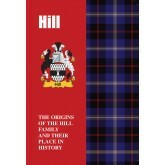 Although not affiliated to any particular Scottish clan, bearers of the Hill name have nevertheless stamped their own unique mark on the nation’s colourful and frequently turbulent history. With the motto of ‘Advance’ and crest of a castellated tower, from the battlefield to the boardrooms of commerce, and from art to music and the stage, bearers of the proud name of Hill have gained international recognition. 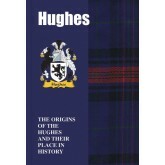 Not only a noted Scottish artist but also a pioneer o..
Popular from earliest times, the proud name of Hughes is to be found all over the world today – far from its original roots in the ancient soils of both Britain and Ireland. Active on the field of battle, bearers of the name have also achieved distinction in the fields of enterprise and invention, while others have contributed to the worlds of politics, entertainment, arts and sport. Their colourful tale is recounted here. 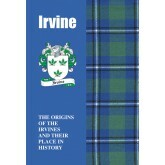 ..
Two great families of Irvines/Irvings flourished for centuries in Scotland, and both took centre stage in the high drama of the nation’s history. Rewarded for their selfless devotion to the cause of freedom and independence, they were also embroiled in the bitter civil wars between Crown and Covenant and the Jacobite Risings of 1715 and 1745. In more peaceful times, and on the motor racing circuit, Eddie Irvine is the Irish former Formula One racing driver who be.. 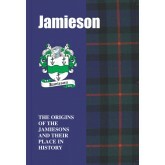 Sharing bonds of kinship with two Scottish clans, the Jamiesons have from earliest times been integral to the vibrant drama that is the nation’s history. With some distinguishing themselves on the battlefield, other bearers of the name have gained distinction through a range of more peaceful pursuits. Although born in 1920 in Evanston, Illinois, James Jamieson, also known as Jamie Jamieson, was the American dancer and choreographer recognised as a specialist in S.. Settled in Dumfriesshire and the Borders, the ancestors of the Jardines of today lived a dangerous life on the edge. But when not tackling invading armies or fighting off rapacious neighbours, they acquired honours and titles and distinguished themselves across a range of more lucrative pursuits. In the world of commerce, William Jardine rose from impoverished beginnings to help found what thrives today as one of the world’s biggest multi-national corporations. .. 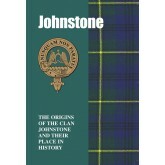 Although Johnstone in its various spellings is one of the most frequent surnames in Scotland, the history of the Johnstone clan is not well known. 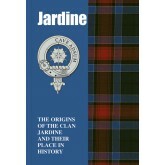 The aim of this booklet is to provide a modern, accurate overview of one of the most powerful clans in its proper historical context. This short history is comprehensive, accessible, concise and readable. 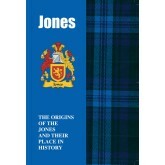 As long ago as the sixteenth century the Parliament of Scotland referred to the Johnstones as a clan, along with many others along the bo..
With roots that lie deep in the ancient soils of both Wales and England, today’s bearers of the Jones name are nevertheless also heirs to a unique Celtic bond with Scotland. But whatever the nations from where their ancestors sprang, what they all have in common is a rich, proud and vibrant heritage. The inspiring tale of the Joneses both past and present is recounted here. 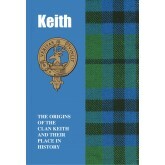 ..
One of Scotland’s most distinguished clans, there are a number of conflicting theories as to the true origins of the Keiths. One theory is that their roots stretch back to the first century AD when, known as the Chatti – from which the Keith name later derived – their territory in modern-day Germany was overrun by Roman legions. 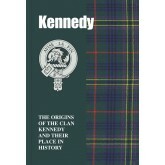 Forced to seek a new homeland and after enduring a dangerous sea crossing, they eventually made landfall on the north coast of Scotland in what is ..
With their main territories in Carrick, in Ayrshire, and further southwest in Galloway, the roots of the ancestors of the Kennedys of today are not known with certainty. But one theory is that, in common with many other prominent clans and families who settled on the western seaboard of Scotland, they originally hailed from Ireland. They gained high honours and distinction, being granted the lands of Dunure, in Carrick, as reward for their support of King Alexand..